If I were ever asked to name the best stallion never to top the Anglo-Irish stallion table, I would have no hesitation in nominating Montjeu. Although he topped the French table in 2005, the first year he was represented by three-year-olds, his innings at Coolmore coincided with some other formidable stallions. Consequently, the nearest he came to the domestic championship was a trio of second places, beaten by Danehill in 2005 and by Galileo in both 2011 and 2012. He also achieved a trio of third places, in 2007 (behind Danehill and Galileo), 2008 (behind Galileo and Danehill Dancer) and 2009 (behind Danehill Dancer and Cape Cross). In other words, Montjeu was a top-three stallion six times in the space of eight years. 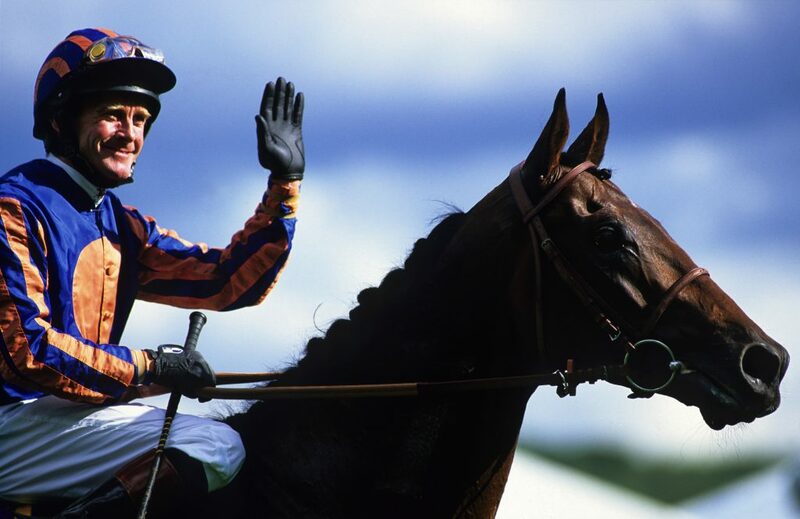 It must not be forgotten that Montjeu was only 16 when he died in March 2012. As he had raced as a four-year-old in 2000, his output was limited to 11 full crops. Even the word ‘full’ needs qualifying. Although a couple of his crops numbered as many as 136 and 150 foals, his five crops born between 2008 and 2012 all numbered fewer than 80 foals, whereas Galileo’s corresponding crops were roughly twice as big. No stallion can give that sort of advantage to a stallion of Galileo’s phenomenal talents, so Montjeu was not always playing on a level playing field. Suffice to say that only a stallion of tremendous talent could build up a list of major wins as extensive as Montjeu’s. The list featured four individual winners of the Derby, Irish Derby and Racing Post Trophy, three of the St Leger and Grand Prix de Paris, two of the Gold Cup, Coronation Cup, Irish Oaks and the AJC Australian Derby, plus winners of the 2,000 Guineas, Irish St Leger, Arc, King George, Juddmonte International, Breeders’ Cup Turf, Prix Ganay, Prix Royal-Oak and the Melbourne Cup. Reading that list is a reminder that it was largely over distances of a mile and a quarter or more that Montjeu’s progeny excelled, and this is reflected in his mature progeny’s average winning distance of 11.8 furlongs, which compares to Galileo’s 11.2 and Sadler’s Wells’s 11.4. In view of the emphasis that so many breeders place on speed and precocity, it was always going to be interesting to see whether Montjeu’s stallion sons were a convenient fit for today’s industry. Coolmore clearly had some doubts, deciding to retire the multiple Group 1 winners Scorpion, Fame And Glory and Leading Light directly to its National Hunt division. Sadly the admirable St Nicholas Abbey died before he had a chance to join Coolmore’s Flat team. The first son to face the test was Motivator, who became the first of Montjeu’s Derby winners when he defeated another Montjeu colt, Walk In The Park, and Dubawi in 2005. Unfortunately, Motivator’s ability to cover was occasionally compromised by a leg injury, to the extent that he was out of action during the 2010 season. Only twice did Motivator have more than 100 foals in a single crop and he was transferred to France at the end of 2012, after his daughter Ridasiyna had won the Prix de l’Opera. Although Motivator was to find glory as the sire of the magnificent Treve, who outdid her grandsire by winning two editions of the Arc to his one, he couldn’t be considered an overall success, as his fee during his years at the Royal Studs went from an initial £20,000 to only £5,000. The next major son of Montjeu to retire was Hurricane Run, who had followed in his sire’s footsteps in winning the Irish Derby and the Arc as a three-year-old. Hurricane Run also emulated Montjeu by winning the King George as a four-year-old and he too retired to Coolmore. Once again, though, his stallion career didn’t go smoothly and consequently the size of his crops dwindled dramatically. 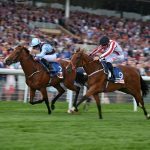 He was transferred to Germany, where he died at the age of 14, not long after his son Ectot had added the Grade 1 Turf Classic to his earlier Group 1 victory in the Criterium International. There was little fault to be found with the qualifications of Authorized, who in 2007 became Montjeu’s second Derby winner, He had also shown that he wasn’t a pure mile-and-a-half performer by winning the Racing Post Trophy, the Dante Stakes and the Juddmonte International. This was enough to earn Authorized a fee of £25,000 in 2008. The fact that he was available for £7,000 by 2013 tells its own story and Authorized followed Motivator to France. Even so, he has had his moments, with his daughters Ambivalent and Seal Of Approval both enjoying high-level success and his son Hartnell becoming a triple Group 1 winner after his transfer to Australia. Authorized has also made his mark on the National Hunt world, via the multiple Grade 1-winning hurdler Nichols Canyon and the 2018 Grand National hero Tiger Roll. This National Hunt success links to that of several other sons of Montjeu who are collectively responsible for the likes of Douvan, Might Bite, Min, Labaik, Farclas, Bigmartre, Petite Parisienne, Pallasator and the promising Commander Of Fleet. Some of these could generously be described as quirky, as could plenty of Montjeu’s high-mettled offspring. His daughters could often be difficult to handle. Montjeu’s third Derby winner Pour Moi had already been relegated to Coolmore’s jumping division by the time his son Wings Of Eagles added to Montjeu’s impact on the Derby by winning the 2017 edition. All the above focused close attention on the first crop by Camelot, who in 2012 became Montjeu’s fourth winner of the Derby – and the third to do so by five lengths. Although Camelot had set himself apart from the others by winning the 2,000 Guineas, some of the gloss had been knocked off his feat of winning three Classics. While he lost nothing in defeat when he narrowly failed to become the first Triple Crown winner since 1970, he won only one of his four subsequent starts. Perhaps the surgery he underwent for colic soon after his defeat in the 2012 Arc played its part. Even so, his unbeaten juvenile career, coupled with his 2,000 Guineas triumph, raised hopes that Camelot possessed more speed than any of his predecessors, as did the presence in his pedigree of Kingmambo and Danehill as the sires of his first two dams. 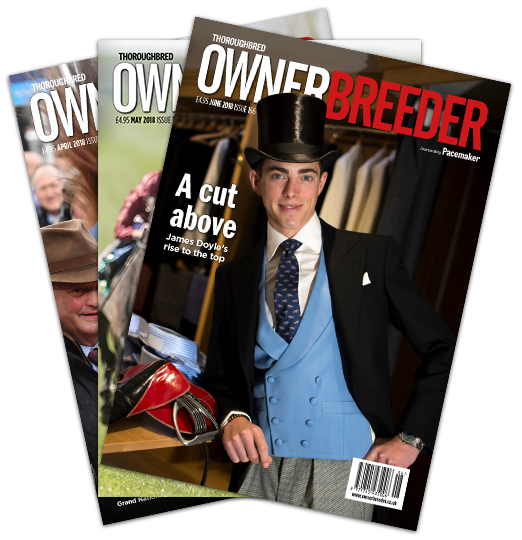 Breeders certainly gave him the benefit of the doubt, with his fee set no higher than €25,000 in his first three seasons and €35,000 in his fourth. His popularity resulted in books of 187, 178, 184 and 179, to give him a first crop numbering 148. This crop proved very popular at the 2016 yearling sales – hence the €10,000 rise in his fee in 2017. Although Camelot had plenty of two-year-old winners in 2017, including the Group 2 winner Fighting Irish and the German Listed winner Alounak, Coolmore took €5,000 off his fee. They can safely readjust it, this time in an upward direction, after an encouraging spate of success by Camelot’s first three-year-olds, culminating in Latrobe’s Irish Derby success and the Grade 1 Belmont Oaks victory of Athena. 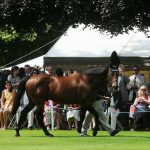 There was a Group 3 success for Hunting Horn at Royal Ascot (where Arthur Kitt became the first stakes winner from Camelot’s 140-strong second crop) and there has also been black-type success for Alounak, Naturally High, the impressive French filly Pollara (who beat the smart Waldlied in the Group 3 Prix de Royaumont) and the very useful Italian colt Wait Forever. There are also several Group-placed performers. I see no reason why Camelot shouldn’t succeed with mares who stayed middle distances, but breeders understandably seem intent on adding more speed. His two-year-old Group winner Fighting Irish has a dam by the sprinter Pivotal and Hunting Horn is out of a mare by Indian Ridge. Pollara has a dam by Storm Cat, while Wait Forever also has a dam by a high-class two-year-old, namely Holy Roman Emperor. The French Listed winner Naturally High is out of a daughter of Grand Slam, a dual Group 1 winner at two, and Latrobe’s dam Question Times is by Storm Cat’s grandson Shamardal, a champion two year-old who also won two Group 1s over a mile at three. Athena’s dam is by the sprinter Green Desert, while Arthur Kitt is out of a winner of the Queen Mary Stakes. Don’t forget, though, that Camelot also has fairly useful winners out of mares by such as Rail Link, Duke Of Marmalade, Trempolino, Street Cry and Theatrical, so time may show that speed in his mares is useful but not essential.